Or go south and explore the Massif de Ste Baume, high enough to have enough snow in winter to feed the ice houses supplying ice to Toulon and Marseille in the summer. Just to the south east of the region lies the ice museum in Mauzaugues. In 2005 the Sainte-Victoire and Fréjus sub-appellations were the first two sub-appellations of Côtes de Provence to be created. These started a trend of looking in closer detail at the vast appellation of Côtes de Provence to identify regional variations of terroir (soil and climate) and styles of wine. Some have criticised these sub-appellations, saying that they confuse the consumer. but personally, I feel they do represent differences in taste and do help to make an otherwise large region easier to appreciate. The Ste Victoire appellation covers 2643ha and includes seven communes in the Bouches du Rhône department around the villages of Châteauneuf-le-Rouge, Le Tholonet, Meyreuil, Peynier, Puyloubier, Rousset and Trets, and in the eastern end of the appellation two communes in the Var: Pourcieux and Pourrières. Although the area covered by the appellation includes around 40 cellars, only half of these make wines using the Ste Victoire appellation, usually for their premium selection, due to the more stringent rules of the appellation. The region has a Mediterranean climate with some continental characteristics – hot dry summers and cold winters. Sheltered to the south from the cooling maritime breezes by the Mont Aurélien (872m), Mont Olympe (819m) and the Massif Sainte-Baume (1147m). The vineyards lie along the banks of the upper Arc river valley, which rises in the hills above Pourcieux and flows westwards through the appellation of Ste Victoire, through Aix-en-Provence before entering the Étang de Berre and the Mediterranean. To the north, the Mont Ste-Victoire ridge runs for 18km and rises up to 1011m, protecting the region by reducing the intensity of the cold northerly Mistral winds, although strong gusts still occur. In 1989 a fire ravaged over 50 km² of the south facing slopes, which have not fully recovered, despite extensive replanting, as vegetation takes time to regrow. The white limestone rock of the mountain is said to reflect the sun’s light and heat. The poor and shallow soils, formed by limestone and gravel clay sandstone, are well drained and the limestone results in good acidity. 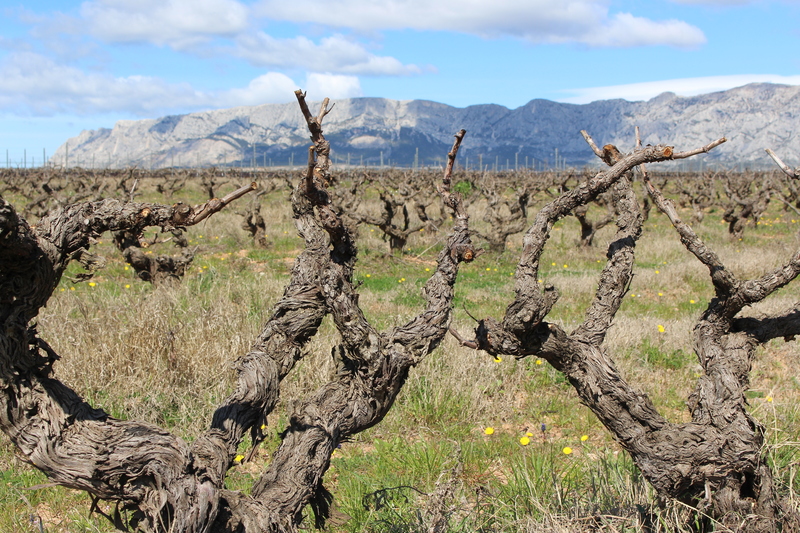 The drying effects of the Mistral help to protect the vines from rot and keeps them healthy. The highest vineyards on the lower slopes of Mont Ste Victoire benefit from the extra coolness of altitude, the reflected light of the limestone and the high limestone content in the soil, to produce very fine wines. Amongst the highest vineyards are Saint Ser at around 420m and Domaine des Masques, up to 500m. Many domaines in the region have vineyard parcels on these slopes for their premium Ste Victoire wines. Above these, the terrain is increasingly rocky, difficult to plant and cultivate, which discourages planting vineyards any higher. The rosé wines, which make up 94% of production, have a juicy, fresh fruit and good acid character. They can include Grenache, Cinsault and Syrah with up to 10% Clairette, Semillon, Ugni Blanc, or if including Rolle (Vermentino), up to 20%. The presence of Syrah often contributes black fruit character to the typical Ste Victoire fruity style. Domaines such as Château Gassier and Château Ferry Lacombe are concentrating on producing premium rosés as their flagship wines. The red wines (6% of production) tend to be rich with good fruit and acidity, largely made of Syrah and Grenache (minimum of 50%) with the optional extras of Cabernet Sauvignon and Mourvedre. Some reds with a high percentage of Syrah (such as Mas de Cadenet’s Bicentennaire, Château Coussin’s César, Domaine Sainte Lucie, Château de Pourcieux) are very Rhône-like in style with intense black fruit, firm tannins and fresh acidity. There are no white wines with the Ste Victoire appellation. 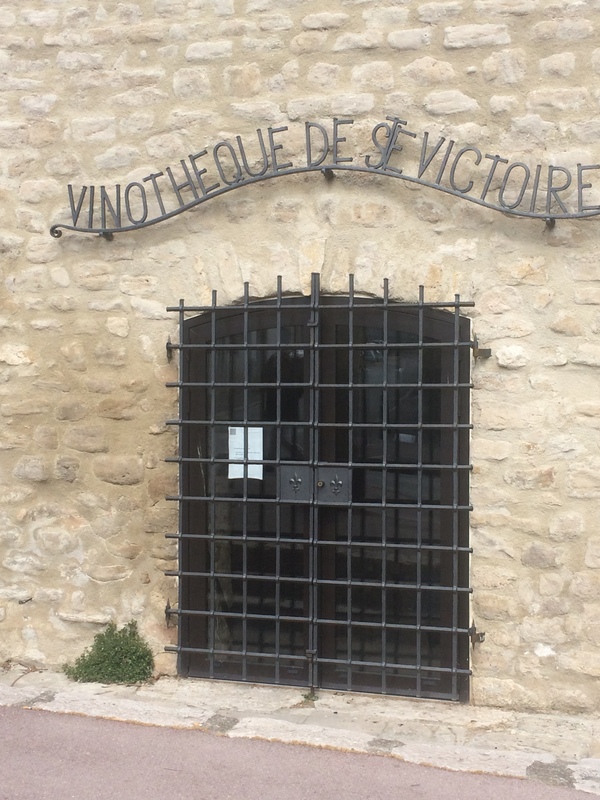 The Vinothèque of Ste Victoire, where the wines can be tasted and purchased, is located in the former wine cellar of the old castle of Trets. Closed Sundays and Mondays. Great post thanks Elizabeth. I have scheduled to re-post in May so you should get some more blog traffic then. I love the detail in your article WOW, I have so much to learn. It is so easy to miss the Cotes de Provence Ste. Victoire area. When I lived at Pont d’ Arc with Allan and Girard in 1970 we could not see Mont Ste.Victoire until we had walk half way up to the university on the main route Marseille-Aix. 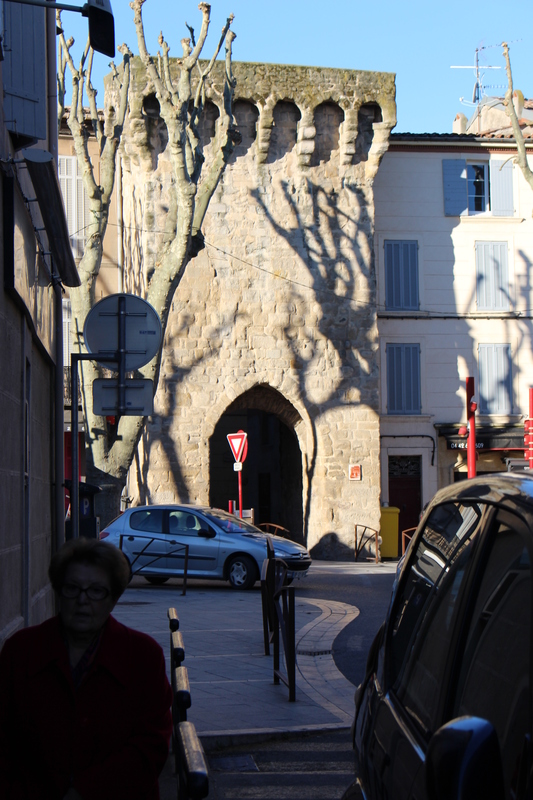 Even then there were few streets in Aix where you could see Mont Ste.Victoire. Allan and Girard studied the Bard of Avon under Guy Carrere’s father. Allan’s family lived in what is now the Hotel de Ville of Le Castellet from which you can see most of the appellation of Bandol (also a special place). Girard’s family lived just north of Marseille/Marignane Airport. Mr.Coste took us on bus trips to places like the Abbaye de Silvacane. He wrote a book about these places but he never took us to the east of Aix. I have personal knowledge that Cotes de Provence Ste Victoire is a wonderful place with friendly families in the high quality rose wine business. 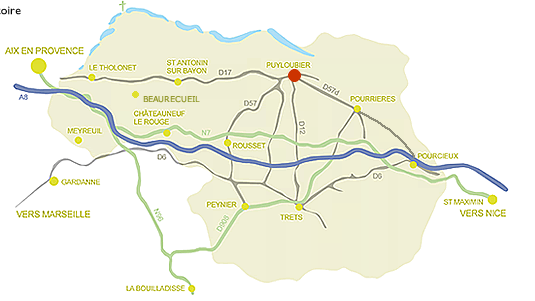 The best overview of Cotes de Provence Ste. Victoire can be had by climbing Mont Ste. Victoire. There are lots of well travelled paths and approachs from the north. At the top looking in all directions I had the feeling that I was looking at the same time a very wild rural place and one of the centers of urban civilization for the last 2,000 years. Thanks Huntly! Next time you come over we can maybe visit the area again.